In the NFL, it was Monday Night Football with the Kansas City Chiefs hosting the New England Patriots. From the first snap it was clearly apparent that the Chiefs were not afraid of the mighty Patriots’ logo. They absolutely crushed the Pats, and the Chiefs’ defense made Tom Brady look like a confused rookie quarterback. So much so, that the Patriots actually put in their new rookie quarterback, Jimmy Garapolo, during the 4th quarter because it was such a blowout. The Pats are in trouble this season. Kansas City 41, New England 14. In a bit of controversy during the game, the Chief’s Safety Husain Abdullah picked off a pass from Tom Brady and scored a TD. He then dropped to the ground in a show of prayer. He received a penalty for excessive celebration. Abdullah is a practicing Muslim. Apparently Rule 12, Section 3, Article 1 (d) of the NFL rulebook states that “players are prohibited from engaging in any celebrations or demonstrations while on the ground.” See for yourself if this is excessive. Elsewhere in the NFL, the Buffalo Bills are in that middle ground right now of either being a somewhat decent team with playoff potential or completely spiraling out of control. And they have opted to at least try and become the former. 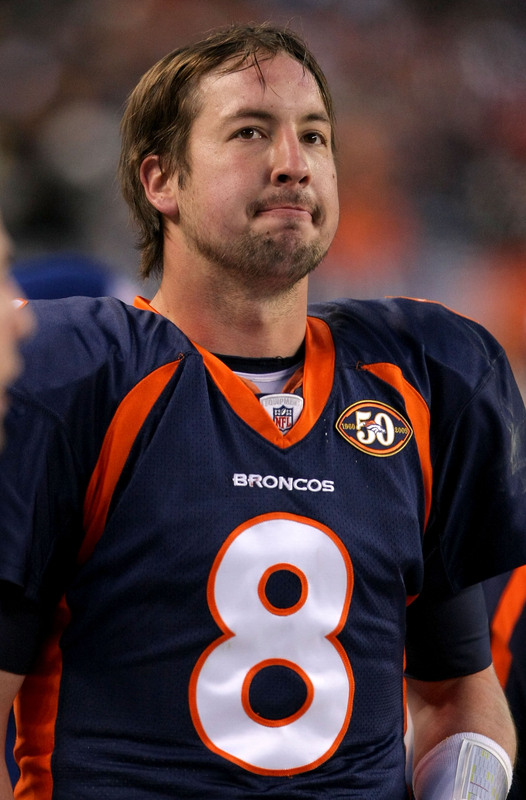 On Monday, they made the tough decision to bench their young QB EJ Manuel and call Kyle Orton out of retirement. 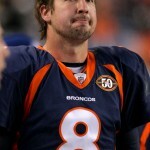 Orton, the aging vet, is a very stable, yet unexciting option at quarterback. 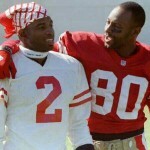 Plus, he has a very nice receiving corps to play with. Who knows — maybe he can turn the Bills around. Finally in the NFL, the Oakland Raiders are off to yet another horrible 0-4 start. They have dashed the hopes of their fans yet again. But at least they took action, pinning all the blame on head coach Dennis Allen and firing him. Allen had an 8-28 record as Raiders head coach, and failing to turn things around this season, the Raiders had just seen enough. They are choosing a short-term replacement, and it could be former Dolphins coach Tony Sparano. Maybe he can help get the Raiders a few wins this season. Wrap up of some good Sunday NFL games: After the Tampa Bay Buccaneers got absolutely smeared last week against Atlanta, everyone had chalked them up as the worst team in the league. So of course everyone wrote them off going to play IN Pittsburgh against a rejuvenated Steelers team. And for most of the game, this looked correct. Late in the 4th quarter, the Bucs launched a comeback that, while impressive, looked like it was going to be too little too late. But a bad punt gave the Bucs the ball back in Steelers territory with just under 30 seconds to go. They had a shot, and a beautiful touchdown pass by Mike Glennon gave the Buccaneers the win! An amazing comeback, and a shot of positivity that the Bucs sorely needed this year. Tampa Bay 27, Pittsburgh 24. And in Chicago, Bears fans are super excited about their hot start this year. It looked like the Bears finally got their act together. And they were hosting their bitter rival: The Green Bay Packers. The Packers are off to a very slow start that has Packers fans panicking. They even went so far as to blame Aaron Rodgers lackluster play on his relationship with new celebrity girlfriend Olivia Munn. But this week, Rodgers told Packers fans to R-E-L-A-X. And, he walked the walk, as he and the Packers looked fantastic against the Bears. The Pack are now 2-2, and fans can likely sleep at night. Green Bay 38, Chicago 17. Finally, in the night game in Cowboy Stadium, Dallas was looking to prove that their 2-1 start was no fluke, while the Saints were looking to prove that their porous 1-2 start IS a fluke, and that they are an offense to be reckoned with. The Cowboys have the hottest running game in the league, and that has seriously opened up their passing game. They crushed the Saints in every way, and look like they will be a serious contender this year. The Saints, on the other hand, need to go back to the drawing board and quickly figure out what’s wrong. Dallas 38, New Orleans 17. Derek Jeter was playing in his last game at Yankee Stadium Thursday night and in typical Jeter fashion, he gave us a memorable and classy performance. All eyes were glued to him the entire evening and he responded by tipping his hat several times at shortstop and hitting the game winning single in the bottom of the ninth. He even hit an early double in the beginning of the game to get the crowd really going. Derek Jeter, you will be missed. 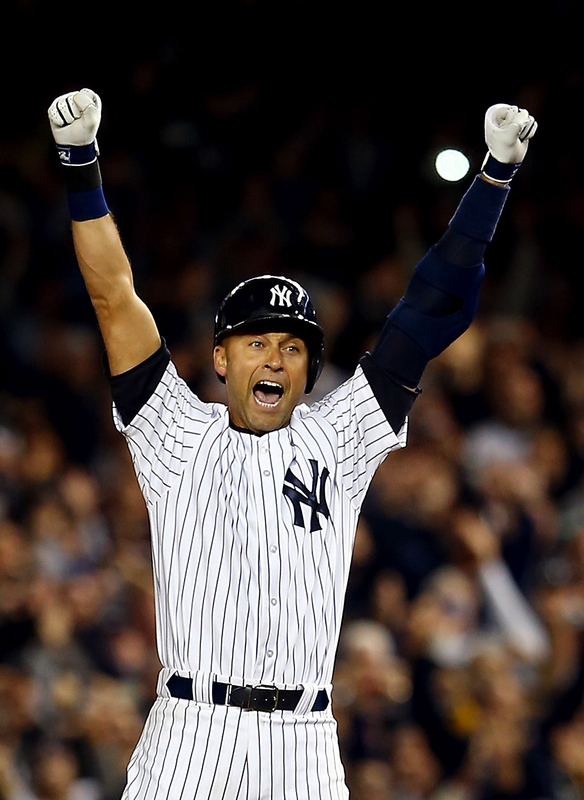 Watch this Gatorade commercial to see a moving goodbye to NY from Jeter! NY Yankees 6, Baltimore Orioles 5. Larry Donnell, NY Giants’ second year tight end, seems to have become QB Eli Manning’s favorite receiver. At 6’6″ and 265 he seems to just roll over his defenders. With three touchdowns in the Thursday night route over the Washington Redskins, Donnell certainly made a statement. 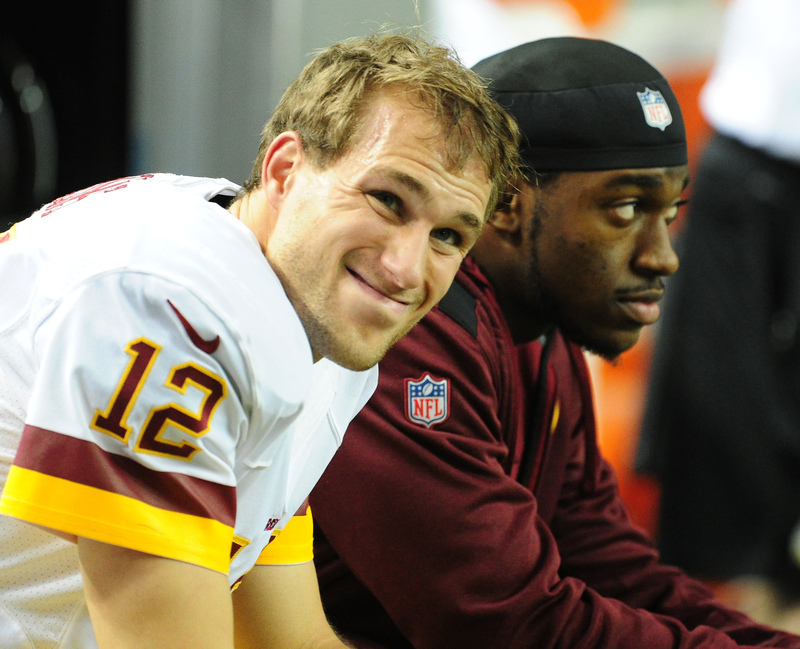 Giants 45, Redskins 14. 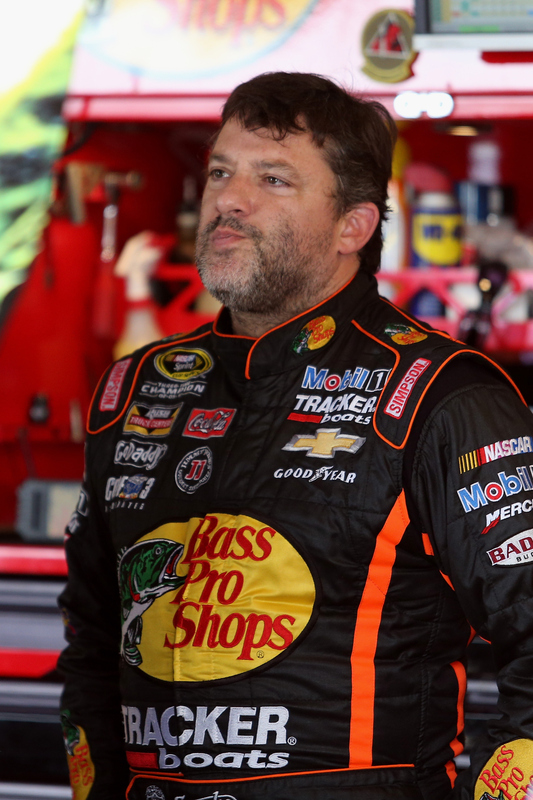 Two months ago, star NASCAR driver Tony Stewart accidentally struck and killed another driver on the course. Stewart faced some serious legal charges. And on Wednesday, the verdict came down. It turns out that despite killing the driver, the judge ruled that Stewart won’t face charges. The driver, who crashed his car, than inexplicably ran out onto the course, was accidentally struck. 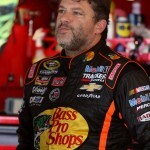 It’s still a complicated issue, but the judge ruled in favor of Stewart. A rain delay cost a Minnesota Twins pitcher a lot of money. Phil Hughes has a stipulation in his contract that if he pitches 210 innings in the season, he receives a $500,000 bonus. He had pitched 209 and 2/3 innings, but then an hour rain delay postponed the game. And when they came back, Hughes had been benched in favor of a reliever. It’s hard to know if that was intentional to save the Twins money, or if the coach just thought Hughes needed relief. Either way, it must be quite frustrating for Hughes. Minnesota 2, Arizona 1. 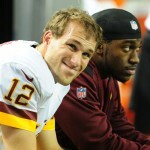 Finally, in the NFL, the Redskins take on the New York Giants in Thursday night football. The Redskins starting quarterback, Robert Griffin III, is battling an injury, and the Redskins had success with Kirk Cousins last week. They looked like a different team. But, even with Cousins’ accomplishments, and the growing sentiment that Cousins may be the better choice for the Redskins going forward, Cousins still publicly says that this is Robert Griffin’s team. That’s a classy move. Two seasons ago, the Dallas Cowboys traded up to get the coveted cornerback Morris Claiborne from LSU. He was supposed to be their shut down corner. That hasn’t exactly worked out, as the Cowboys informed him that he would be replaced in the starting line-up. Upon hearing this, Claiborne didn’t take the news lightly. Instead, he stormed out of the team’s facility during practice. Not exactly the professionalism they were hoping for. It looks like Claiborne is going to be a bust. Elsewhere in the NFL, thanks to the Chicago Bears, one lucky bettor in Arizona won $57,935 off a $5 bet. This guy picked 15 straight-up NFL winners on a parlay ticket. This means that you have to win every game. If just one pick is incorrect, the whole ticket is dead. It’s pretty much like buying a lottery ticket. Since the Bears took the win on Monday night, he won the big prize. He even hedged his bet, placing a sizable wager on the Jets to win. That way at least he would win a big cash prize. So the moral of the story: If you’re ever in Nevada on a Sunday, throw a few bucks on a parlay ticket. You could win big! 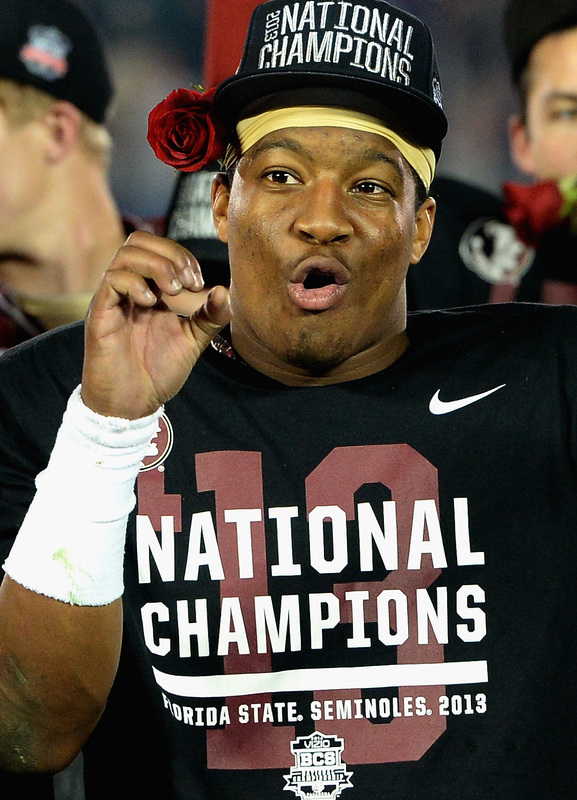 And in some other gambling news, with his outburts and bad behavior lately, college football experts are down on Florida State’s Jameis Winston winning the Heisman Trophy again this year. He was 10 to 1 to repeat as the winner, but now he’s down to 20 to 1. 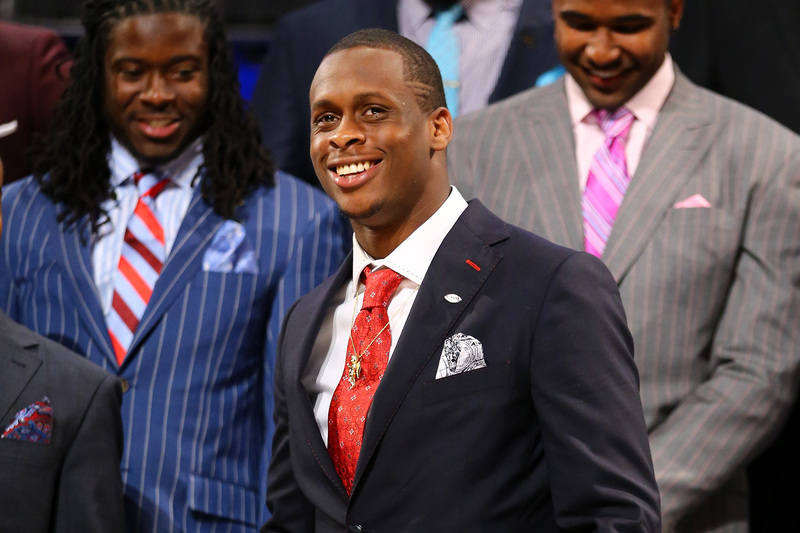 Heisman voters definitely care about performance and stats, but they also care about character. It is hard to imagine them handing him the trophy again this year. 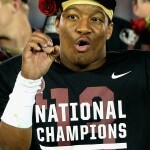 Then again, the ‘Noles are still undefeated, and he is still an excellent player. In the NFL, it was Monday Night Football between the Chicago Bears and the New York Jets. The Jets are off to a rocky start, and the actual, recognized nickname of their quarterback Geno Smith is “The Turnover Machine”. That’s not a good thing. The Bears, however, look rather solid this season, and an overlooked hero on their team is tight end Martellus Bennett. Bennett said he felt “disrespected” by Jets coach Rex Ryan when Ryan talked about how awesome the Bears receivers were, but just mentioned Bennett as “some big dude”. 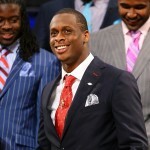 Well Bennett put on a show last night, hauling in two touchdown passes in a Bears victory. Chicago 27, NY Jets 19. Elsewhere in the NFL, the Philadelphia Eagles are 3-0 under second year coach Chip Kelly, but that doesn’t mean his players like playing for him. Kelly is known for being highly disciplined with his players, and now they are starting to speak out. Cornerback Cary Williams told the media that he was sick of all the intense conditioning practices. Williams said he tries to conserve as much energy as possible before the games on Sundays, but Kelly’s practices are like “dog fights”. He went on to discuss how the organization needs to start taking care of its players more. This has been a controversy in the league the last few years, and it will be intriguing to see how the NFL deals with this situation. Finally, in baseball, a feel good story. Stars can be created in the major league farm system, but nobody talks about the players that spend years there just hoping to get called up for an at bat. After 13 years in the minors, the Texas Rangers called up Guilder Rodriguez to get a major league at bat. Rodriguez had his parents in attendance, and the whole crowd cheered him on. On his first at bat, Rodriguez knocked a shot right over the 3rd baseman’s head for a base hit. What a great feeling for him to finally realize his dream of hitting a major league base hit. Texas 4, Houston 3. In the NFL, it was a great weekend of action in a time when the NFL is under extreme scrutiny with the Ray Rice and Adrian Peterson scandals. 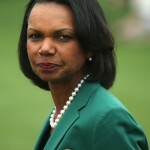 Speaking of Rice’s former team, the Baltimore Ravens, they took on the division rival Cleveland Browns. Browns fans hoped to see Johnny Football on the field, and Johnny Manziel did make an appearance. Manziel didn’t go out as a quarterback, though, but rather on a trick play as a wide receiver. He made a 37-yard grab, but it was called back on account of a penalty. The game was close, but a last second field goal by Justin Tucker gave the Ravens the win. Baltimore 23, Cleveland 21. The Dallas Cowboys may have gotten off to a slow start this season, but they have quickly bounced back. Yesterday, Tony Romo and the boys took on a Rams team that is looking for an identity. The Rams were supposed to be the defensive juggernaut, but they give up a lot of points. The Rams were up early, crushing the Cowboys in the first half. 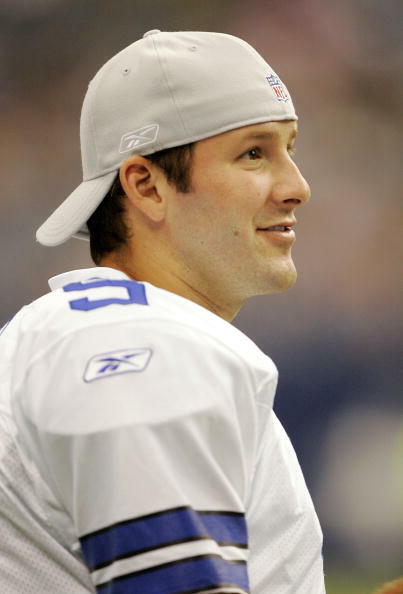 But, in the 2nd half, different story, as Tony Romo and Dez Bryant went wild and helped the Cowboys get the comeback win. Dallas 34, St. Louis 31. Finally, it was a rematch of last year’s Super Bowl between the Denver Broncos and the Seattle Seahawks. 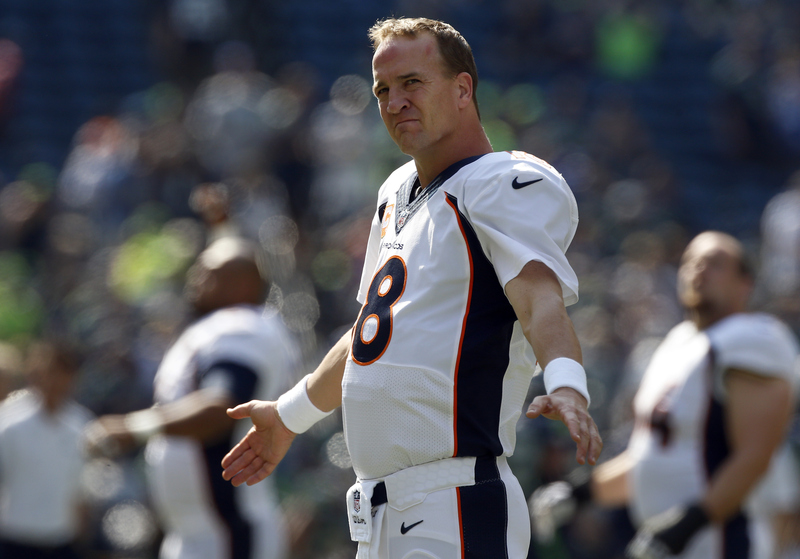 This game was marketed as a redemption game for Peyton Manning and the Broncos, but Manning publicly stated that beating the Seahawks in the regular season doesn’t make up for losing a Super Bowl. True redemption would be if there was a Super Bowl rematch between the Broncos and Seahawks and the Broncos got the victory. But on Sunday, it was all Seahawks for most of the game, until a last second drive by Manning tied the game up and sent it to overtime. In OT, Russell Wilson got his act together and led the Seahawks to a victory. 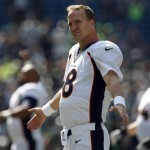 Seattle 26, Denver 20. An exciting Thursday night for the Atlanta Falcons. 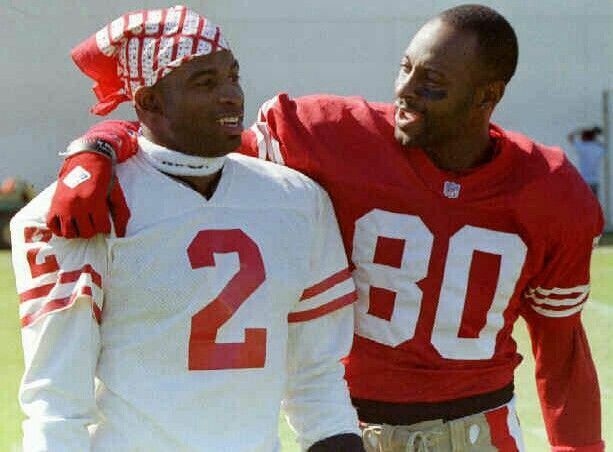 Not only did they destroy the Tampa Bay Buccaneers but their star wide receiver Devin Hester passed Hall of Famer, Deion Sanders, for the most return touchdowns in NFL history. Falcons’ QB Matt Ryan was on fire with 286 yards and 3 touchdowns. It was a blowout from the beginning. The Falcons were up 56-0 heading into the 4th quarter. Tampa Bay managed to eek out 2 touchdowns towards the end of the game to avoid an embarrassing loss. Falcons 56, Bucs 14. While the world was watching the vote in Scotland for Independence (which was voted down), the Royal and Ancient Golf Club at St. Andrews voted to allow women members. The 260 year old club with 2500 members voted overwhelmingly in favor of women membership. 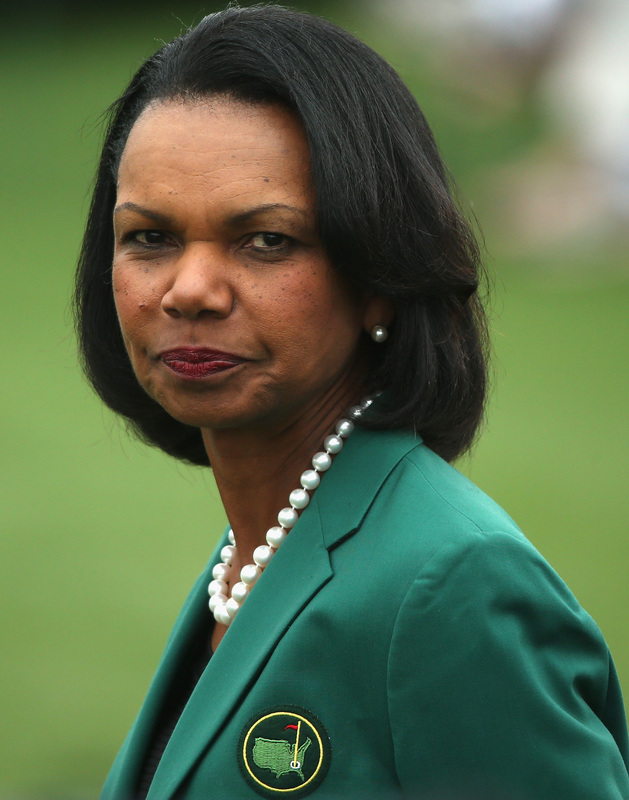 Augusta National made headlines two years ago when it opened its doors to the first two female members, former Secretary of State, Condoleezza Rice and financier, Darla Moore. The bad news for the NFL just keeps piling up. On Wednesday, just hours after the NFL made the exempt announcement regarding Peterson, Arizona Cardinals’ running back Jonathan Dwyer was arrested on aggravated assault charges related to two incidents in July. Hardy, a 6 foot 4, 275 lbs was convicted for throwing a female companion in her bathtub threatening to kill her. There was also an incident with her 18 month old son. Hardy will be appealing. Women are starting to speak out about this cycle of domestic abuse and are not too happy. The New York Times came out with a piece Thursday morning expressing their disillusionment with the NFL. 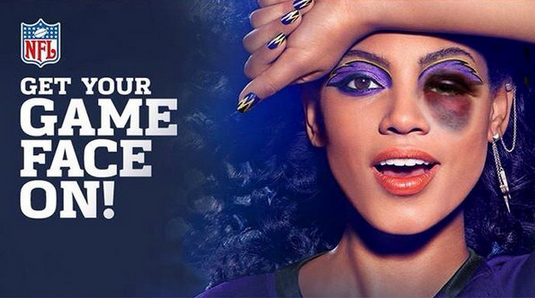 This image on twitter became went viral after someone altered the covergirl ad to show a black eye on the model for the Ravens. 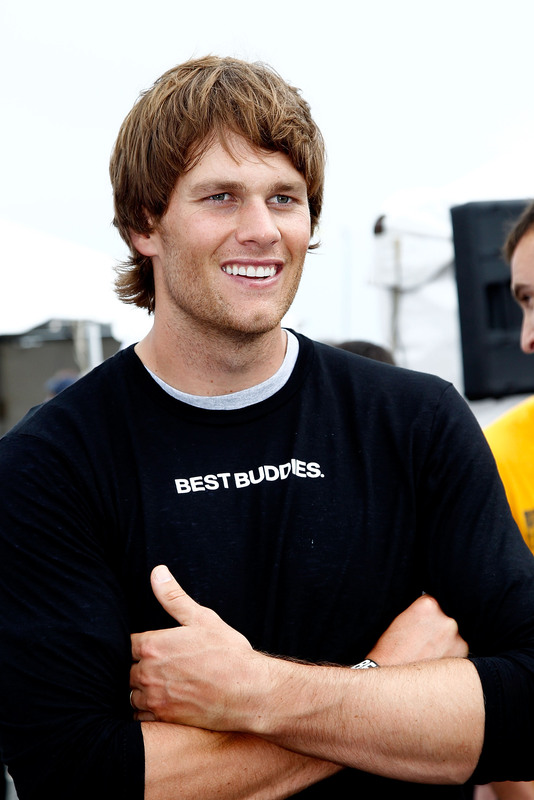 Thankfully, there’s still some good guys in the NFL. The Cincinnati Bengals decided to sell the jersey of Devon Still, a former practice squad player and now current player on the team, to raise money for pediatric cancer research and the Cincinnati Children’s Hospital. Still’s daughter is suffering from stage 4 cancer. When New Orleans’ coach, Sean Payton, heard about the jersey sales, he immediately purchased 100 (at $100 a piece) to bring the total one day sales of the jersey to impressive numbers. At 1:52 am EST Wednesday morning the Minnesota Vikings organization sent out a statement placing Adrian Peterson on the exempt commissioners’ list while the team is investigating the child abuse charges. The only other time the exempt commissioner’s list was used was when Michael Vick was suspended for dog fighting. Sponsors are now weighing in on the conversation of abuse and how the teams/league are handling the Rice/Peterson scandals. 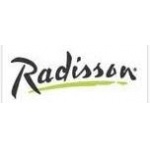 As of now, Radisson hotels pulled its sponsorship of the Vikings and other NFL sponsors; Anheuser-Bush, Visa, McDonalds and Campbell Soup are all voicing concerns. Fans as well as sponsors are legitimately upset about the lack of leadership and morality in the NFL in the last week.